Take the first step in finding your perfect new home at VERDE! We can’t wait to help you find the home of your dreams – So Call Us Today at 717-566-5400 or Click the Button Below to Apply Online! Unparalleled lifestyle with amenities unmatched by any other community in the area. Thoughtfully designed to create an inviting oasis of style, function, and livability. 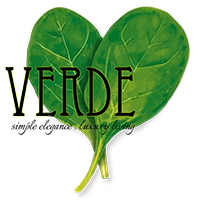 VERDE is the premier new-construction luxury apartment community in Hummelstown/Hershey area. Verde Apartments near Hershey, PA offer a variety of spacious one- and two-bedroom floor plans, so no matter what you enjoy doing, you’ll have plenty of space to do so. Verde also offers upgraded amenities that make our Hershey, PA apartments stylish and functional. Our apartments feature updated GE kitchen appliances, solid-surface countertops, and wood cabinetry. We also offer nine-foot ceilings, walk-in closets, and private balconies/patios. Most of all, we want to provide our residents with the ability to live the lifestyle they want at their new apartments. To give them a place where they feel at home and where they can be a part of our community or spend time with others when they come to town! Verde Apartments is building a brand-new community center for our residents to enjoy! Our community building will include a state-of-the-art fitness center, lounge area with flat screen televisions, and a grilling/picnic area. It will be a perfect place to come home to relax and workout or hang out with friends or family after a long day of work! Our apartments in Hershey, PA are conveniently located near the Milton S. Hershey Medical Center and also within a walkable setting with schools, dining, shopping, and entertainment just steps from your door. Contact us today for more information! Is VERDE perfect for you? I'd rather you not allow cats at all versus what is stated on your website that they can live there if declawed. Declawing is inhumane. Check out the new Sunday brunch menu at the Wick! 🍳🥂🥓Everyone has been asking what’ll be on our brunch menu! We finally have it finalized for you! Stop by Rhoads Hallmark & Gift Shop just off the Hummelstown square and enter to win a $100 gift card and a Big Sloth!In conjunction with our Spring Open House (April 13th - April 20th), we are also raffling off a $100 Gift Card!